Learning numbers with playing cards! Love is in the air at preschool! Pink and red hearts, stories about hugs and kisses, and sending Valentines through our classroom post office are happening each day. February is a super fun month! The Flip & Color game has been a hit with the preschoolers too! We have been practicing numbers and pointing to count and the game reinforces both. 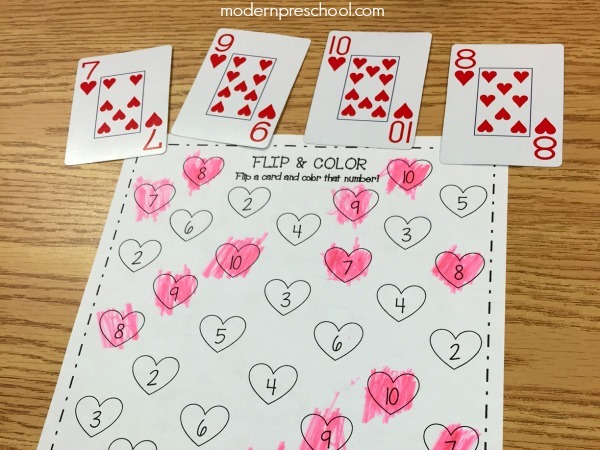 I collected the 2-10 of hearts from a deck of cards and let the kids choose bright colored markers to color in the numbers flipped. We played the game in groups and after each flip, the kids were excited to find all of that number on their papers as quickly as they could! Even the preschoolers who could not identify the number right away were still able to match, find and name the number each time it was colored in! Just flip a card and color the number! 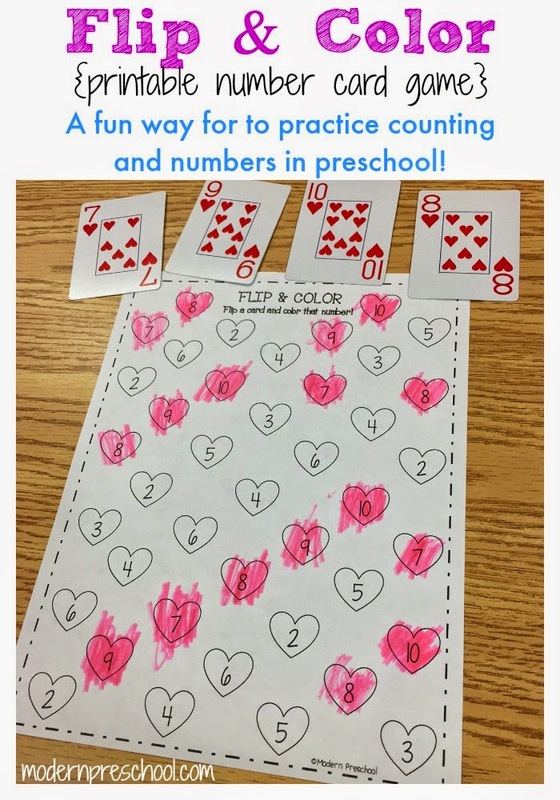 A fun game for preschoolers and kindergarteners!